With all the buzz about our AC3200 Ultra Wi-Fi Router (DIR-890L/R) we’ve been getting a lot of questions, mainly about what exactly makes this bad boy so special. So I’d like to answer a few of them now. Does it fly? No. Is this ‘the most insane router in the history of mankind’? Yes. Is it secretly an alien spaceship with a master plan to try and take over the world? Maybe. In all seriousness, this router has some pretty great new features that are definitely worth mentioning, so we’re kicking off a new series of blogs explaining what makes the AC3200 Ultra Wi-Fi Router so totally awesome. First up: Tri-Band Wi-Fi. Most people have probably heard about Dual-Band when it comes to routers. A dual-band router simply provides two wireless bands, one 2.4 GHz band and another 5 GHz band, allowing for more devices and less interference. It’s like having two wireless routers in one. By dividing the clients you’re able to make sure things like your wireless printer, Wi-Fi Cameras, and older generation devices aren’t interfering with more day to day devices like laptops, tablets and phones. 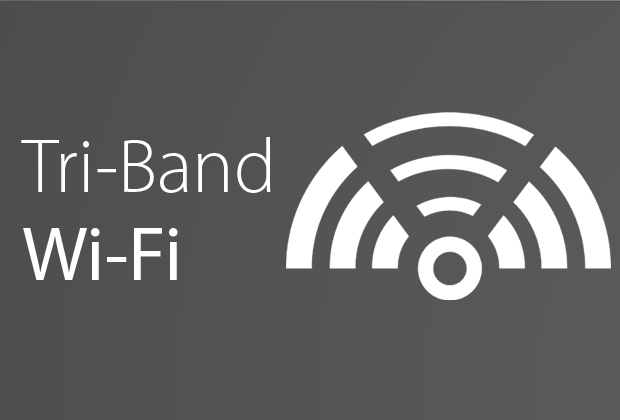 Tri-Band Wi-Fi simply takes it one step further and provides three wireless bands to accommodate even more devices on a network. The AC3200 Ultra Wi-Fi Router, for instance, provides one 2GHz band, offering speeds up to 600Mbps, and two 5Ghz bands, for speeds up to 1300Mbps. Now when you hear about Tri-Band routers like the AC3200 from D-Link it should be clarified that a single device isn’t going to achieve a 3200 megabit link speed. The number, 3200, is an aggregated value from the three bands, 600+1300+1300, it’s not meant as the potential throughput of a single connected device. Now you may be thinking if it’s not necessarily made to give me faster Wi-Fi what’s the point of it? Well even though Tri-Band may not increase your devices speed (although upgrading your router to an AC3200 is bound to give you great coverage and connection) it will absolutely make a difference for those users with tons of devices on their network. A good metaphor that explains why Tri-Band is better is freeway congestion. When there’s traffic on a freeway and you’re crawling along at 10mph, increasing the speed limit isn’t going to help anyone get anywhere sooner. If you were to add another lane, though, traffic would clear faster and, in the future, congestion would be less of a problem. When you have 10 to 15 devices connected to your network and you’re working with a dual-band, maybe even single band router (heaven help you) no matter how fast it says it is they’re often just not built to handle a huge number of devices. A Tri-Band router like the AC3200 Ultra Wi-Fi Router not only provides top of the line AC speeds, but with that third band it has the ability to handle as many devices as you can throw at it (please don’t actually throw devices at the router). Another advantage of our AC3200 is its use of Smart Connect Technology which makes it so you don’t have to worry about which devices go on which band (stay tuned for our next blog in the series on Smart Connect). So all in all it’s just safe to say the more bands you have on a router the better. 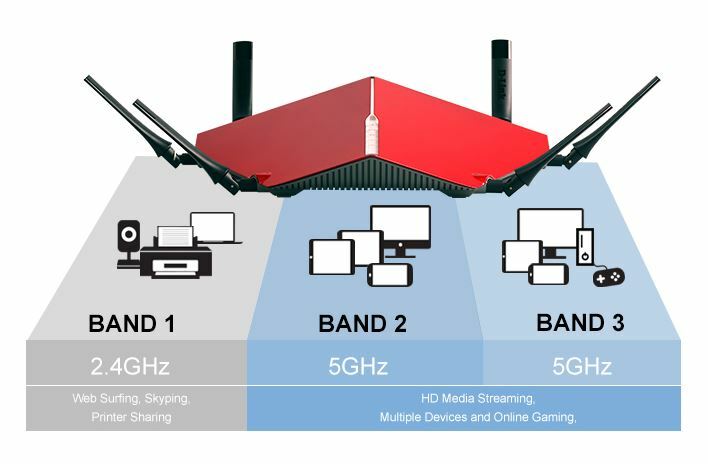 Whether your household just has a lot of connected devices or you just like to ensure your streaming and gaming is lag free Tri-Band is the way to go.